The Dry Red Chilli/Red Chili Pepper (Sukhi Lal Mirch, Teja Chilli , Teja Mirch) is the fruit of plants, used as ingredients in a meals. Guntur in Andhra Pradesh produces 30% of all the chilies produced in India. The Chili Pepper is the fruit of plants, popular spice in many parts of the world, well known for their hot, pungent flavor, used as ingredients in a meals. Chili peppers, despite their fiery hotness, are one of very popular spices known for their medicinal and health benefiting. Teja Chilli is the hottest chilli in India. 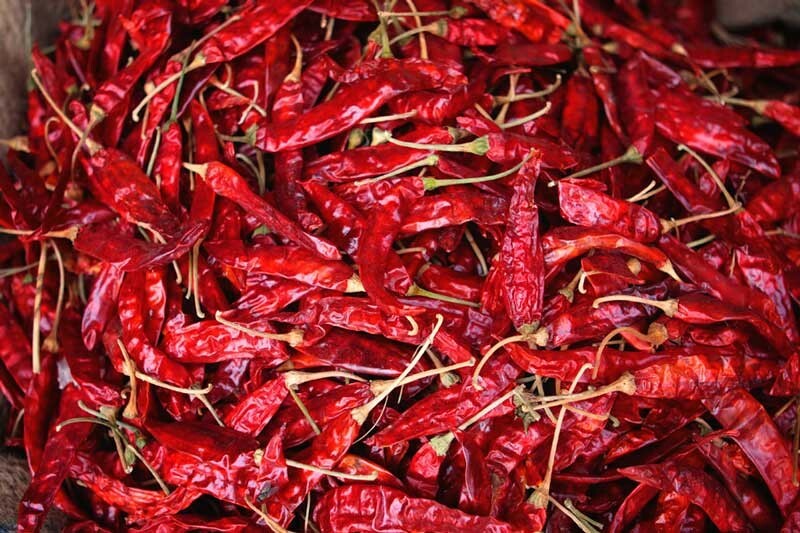 India is the world's biggest producer, consumer and exporter of chili peppers. Red chilies contain large amounts of vitamin C and small amounts of provitamin A. They are rich in vitamins, minerals, and various unique plant compounds. Dry Red Chili has the ability to fight against inflammation. Dry Red Chili known for natural pain relief. Dry Red Chili helps to clear congestion. Dry Red Chili help to boost the immune system. Dry Red Chili help to decrease blood cholesterol levels. Dry Red Chili peppers help to accelerate digestion and metabolism to promote weight loss. Buy dried red chilli online at whole sale price from KiranaPlace, a spice shopping store.